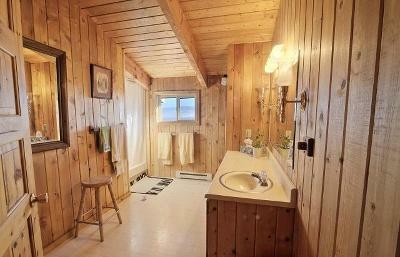 ''Find your thrill on Blueberry Hill''!Desirable area - Victor, West side. Located between Gash Cr. & Sweathouse Cr. for the adventurous in spirit. 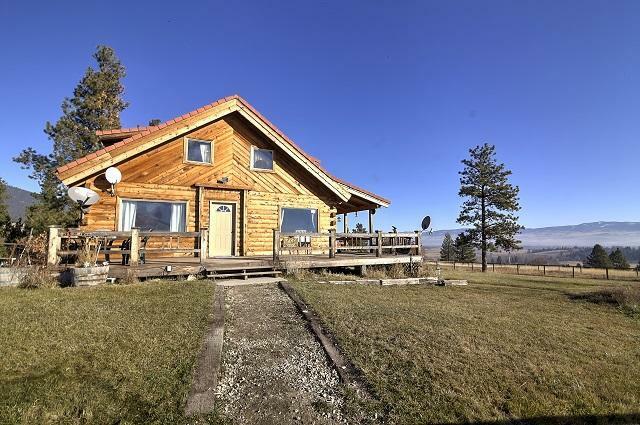 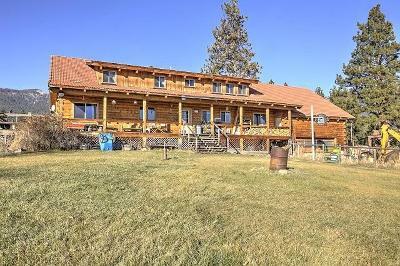 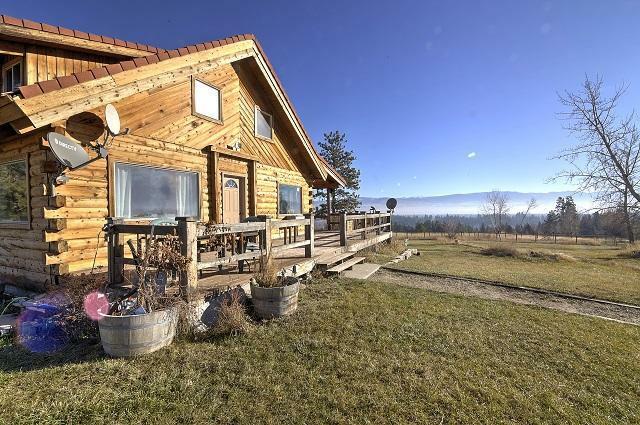 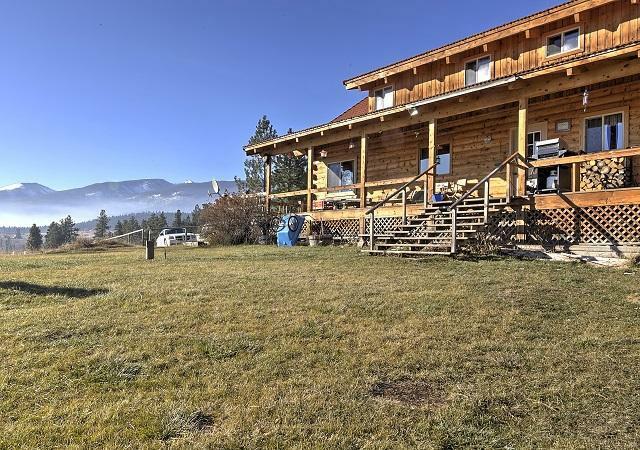 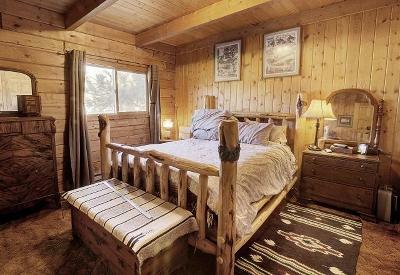 Nestled against the foothills is this inviting log home, with spectacular views, overlooking the valley and mountain ranges. 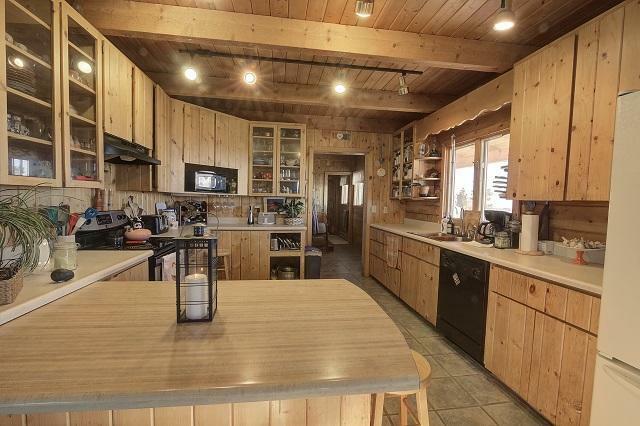 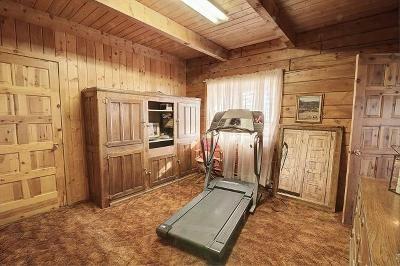 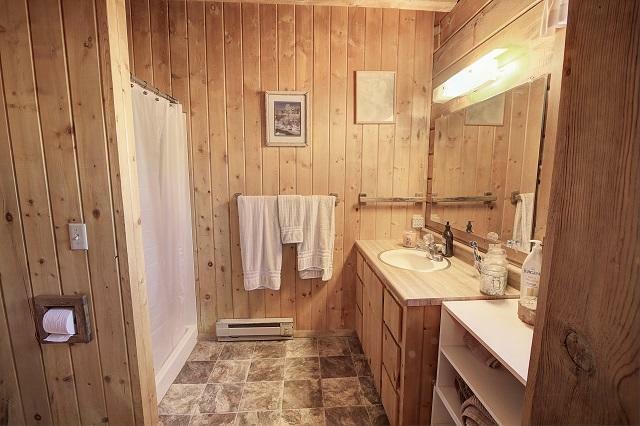 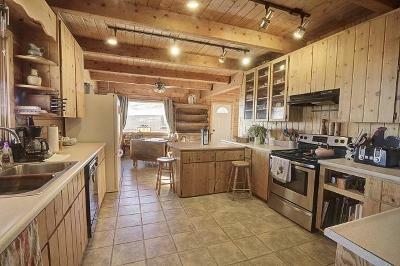 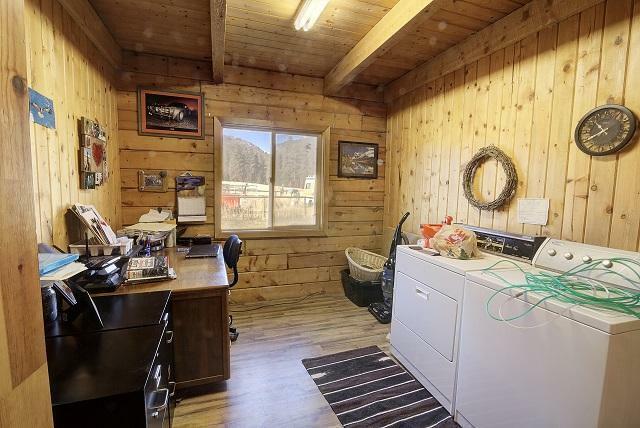 Kitchen has knotty pine cabinets and tile floor. 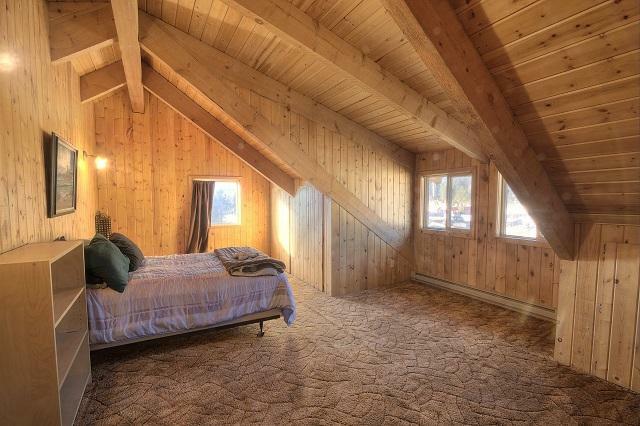 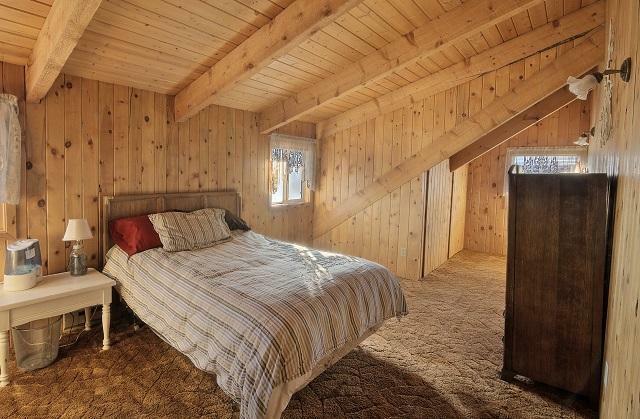 Master bedroom, guest bed, 2 baths, kitchen and livingroom on main level. 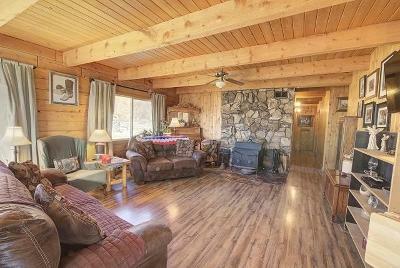 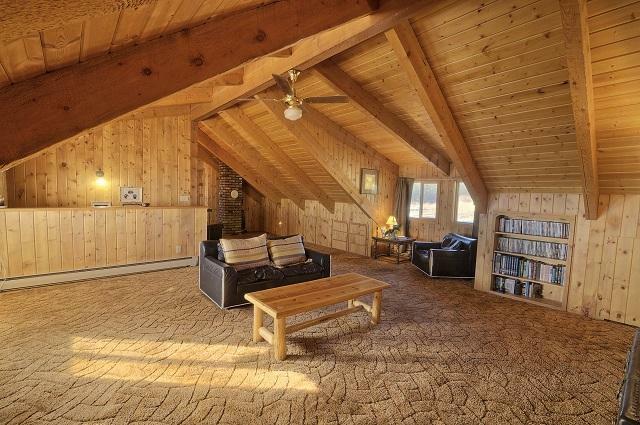 Family room, 2 bedrooms and bath on second level. Large family home with room enough for your guests. 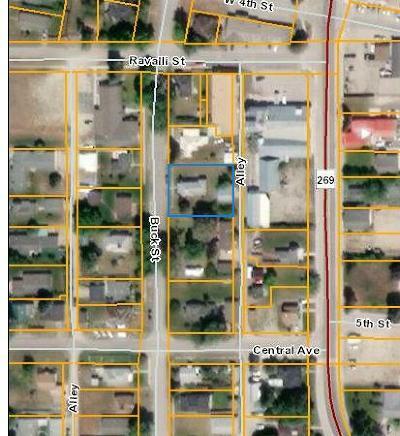 Property is at the end of cul de sac. 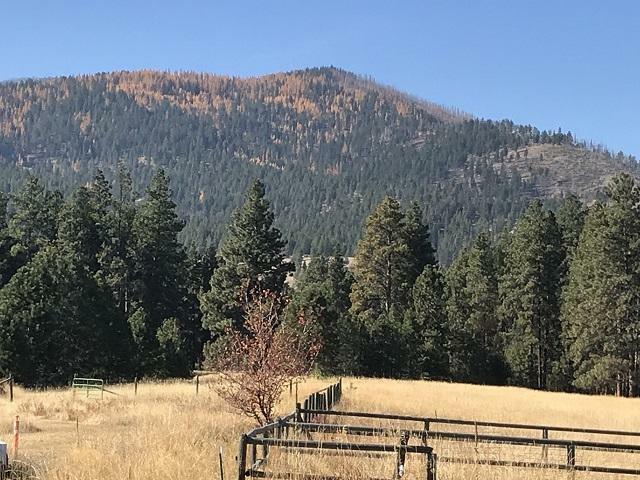 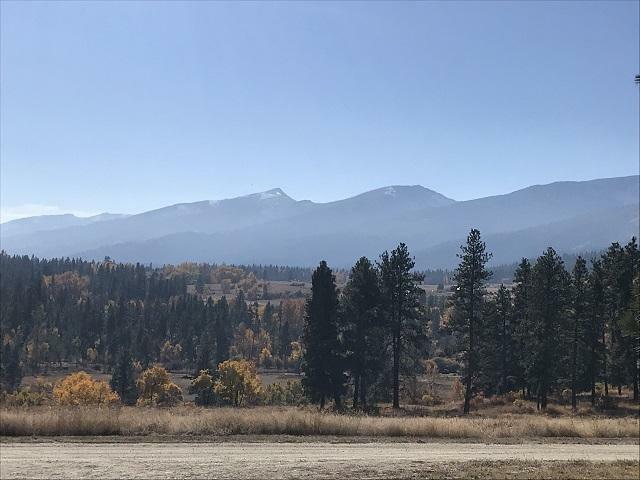 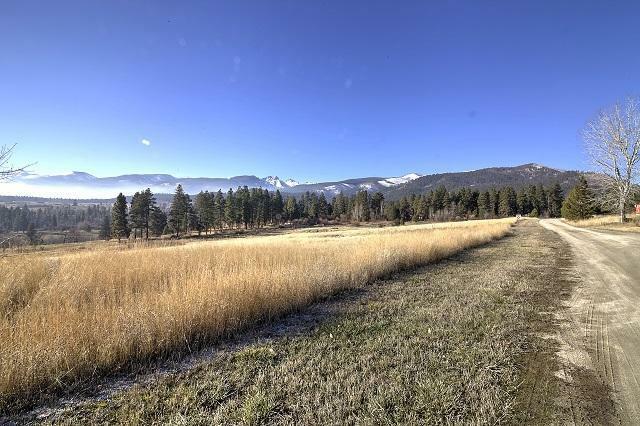 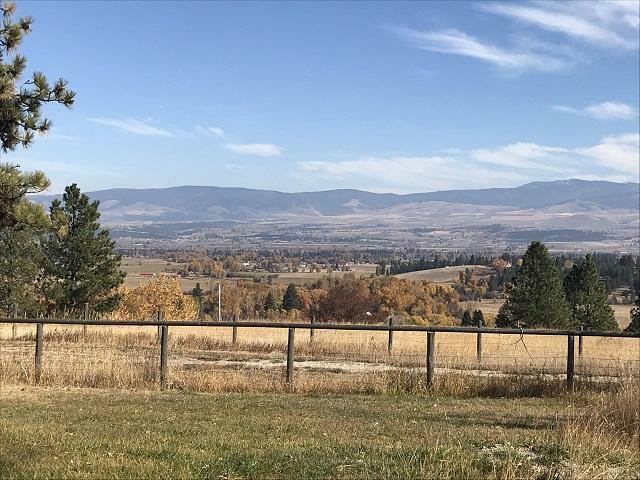 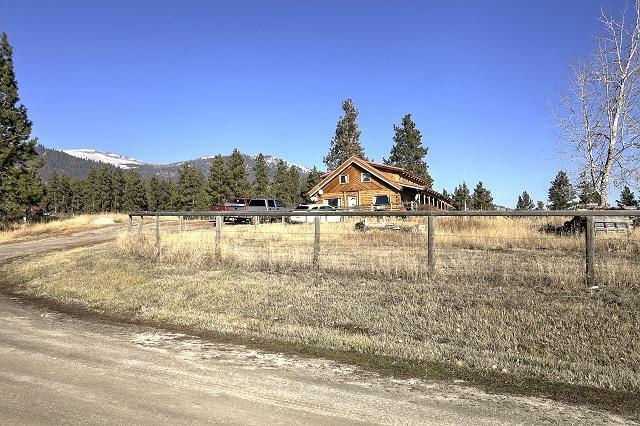 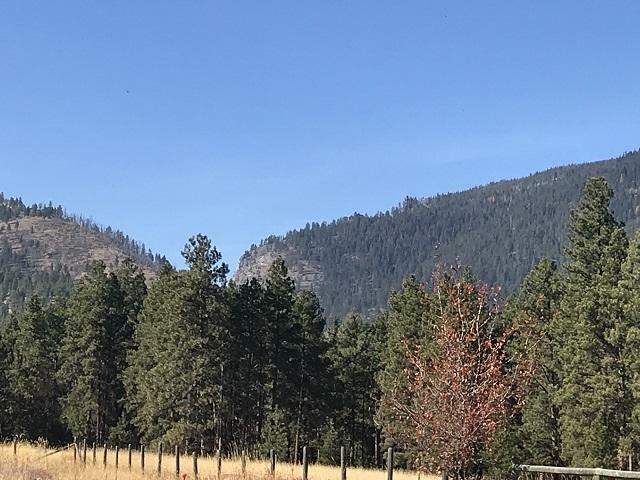 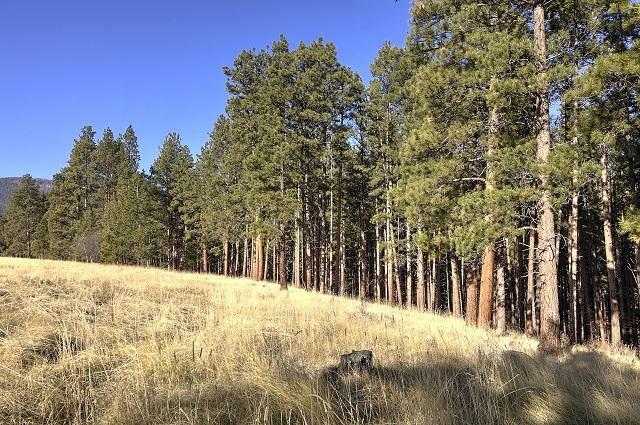 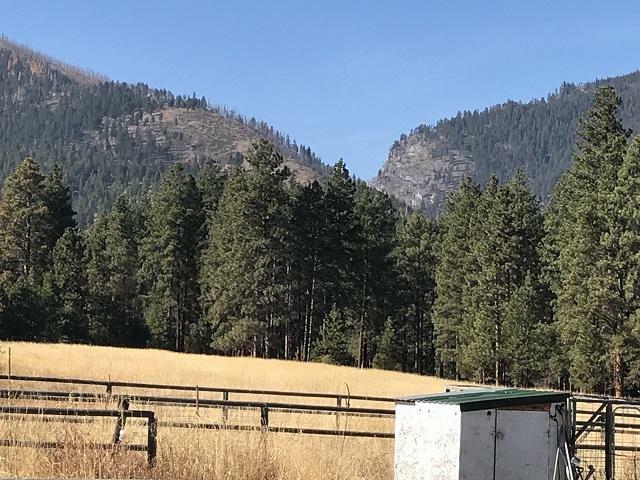 There are 2 parcels, 6.67 acres with the home and a beautiful 20 acre treed parcel for you to enjoy. 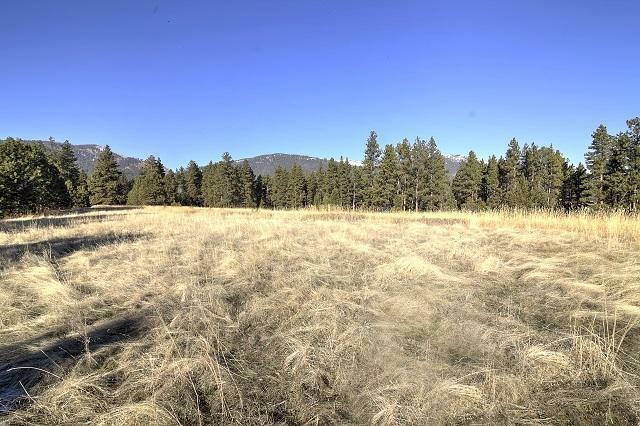 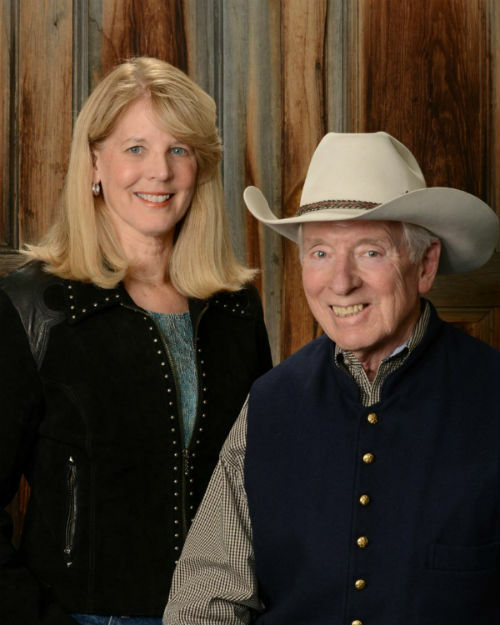 Property includes Irrigation rights, and a 40 x 80 poured foundation ready for you to build.